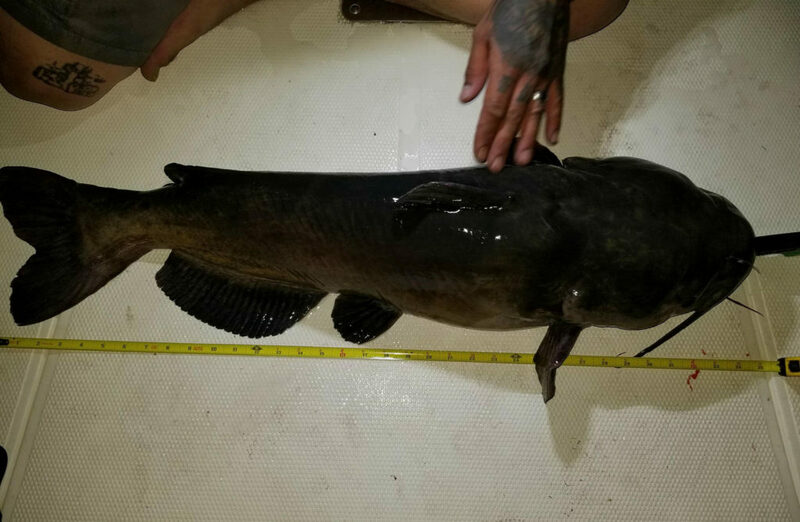 George T.: (Saturday night, April 28): We were targeting flathead catfish in Havasu. I was with my friend who holds a few records here, his name is Kenan. We started by catching baby bluegills as bait, then moved up to the deep waters and fished ’til it got dark with no luck. We made a flapper rig out of the gill so the gill was dead (for bait). The boat we were on was a Mako boat, which was Kenan’s friend’s (Mike from Calif.). 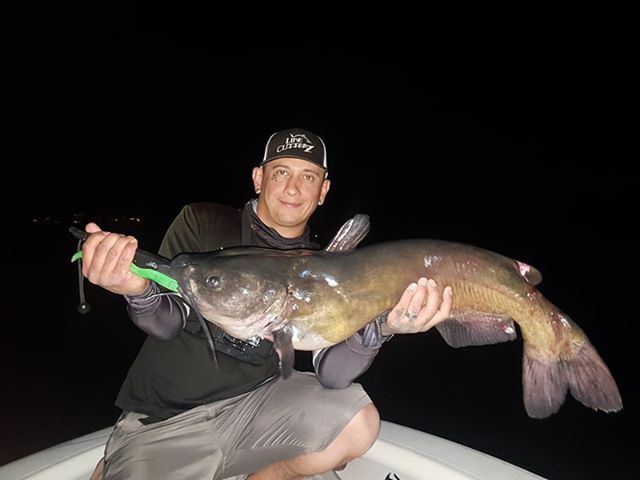 Editor’s note: The Colorado River waters catch-and-release state record for a channel catfish is 26 inches caught on the Colorado River-Betty’s Kitchen by Ben Davis of Sierra Vista on Nov. 18, 2014. The above fish is not yet an official record in this category (awaiting required paperwork and certification). See more about State Records, including entry regulations and forms.